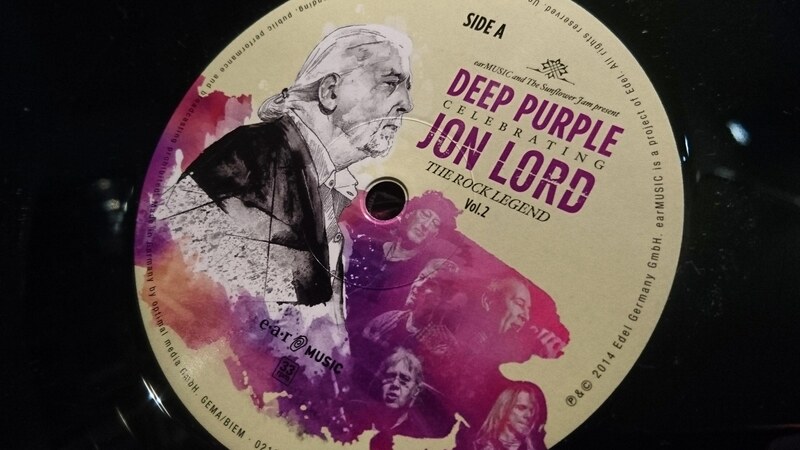 Celebrating Jon Lord, the majestic evening of Jon Lord’s music held at Royal Albert Hall in April 2014, is now seeing a full release on vinyl. The good folks at earMUSIC have wrapped the full show into three gatefold vinyl releases, smack full of photos, notes and an overall feel of classy musical joy. To be able to present everything from the very sad yet also glorious and musically very satisfying and uplifting evening, the music has been spread over three individual releases. The first, The Composer (2LP) aptly deals with the evening’s first half, which was dedicated to Jon’s impressive orchestral work. The second half has been split into two volumes: The Rock Legend vol 1. (1LP) and Deep Purple’s set (vol. 2) (2LP). This article deals with Deep Purple’s set, which was extraordinary all the way. We’ll review the other sets next. 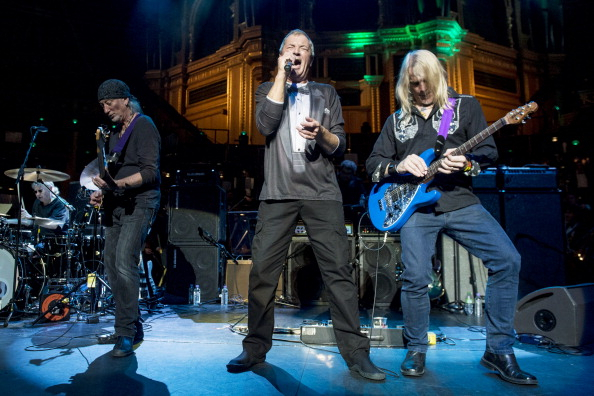 Deep Purple’s magnificently curated and well balanced set rounded off the evening before a packed Royal Albert Hall. Two recent pieces – Uncommon Man and Above and Beyond – dedicated to Jon via the band’s NOW What?! album from 2013 – had been expanded and augmented with orchestral backing that served them both very well. Jon Lord always put his mark on Lazy, and for his celebration show, Deep Purple made the wise decision to enhance it by enrolling an old friend, Stephen Bentley-Klein on violin. The intro is built and reimagined in a way that befits the occasion. Another old chestnut of Jon’s was how he began introducing When A Blind Man Cries after the band started playing it again in the late 1990s. Jon would quote Samuel Barber’s Adagio for Strings over which Steve Morse put in a heart gripping solo. For the celebration here, the orchestra took Jon’s role as backing to Morse, resulting in a very emotional recounting of something that started as an onstage improvisation and has now become pure brilliance. And it keeps coming. Perhaps for this pen one of the ultimate highlights of the evening – on a list of many, honestly – was Perfect Strangers complete with Jon’s original orchestral arrangement which he composed for his own shows in 2008. It adds a long quiet, haunting and mesmerising intro to the original song, which in turn grows even taller in stature with the orchestra behind it. One to savour. Deep Purple’s set ends with a band only rendition of Black Night and an all-hands-onstage free-for-all jam version of Hush, Jon’s earliest signature tune in Deep Purple. We have here a display of keyboard players rarely seen together in one room; Don Airey, Rick Wakeman, Wix Wickens, Nigel Hopkins and Andy Wallace. Airey teases Wakeman with snatches of Yes, and the song seems endless as the players . We’re left gasping for breath as the thought materialises. Deep Purple managed the seemingly impossible task of celebrating and honouring their old friend, maestro and organ player. At the end, Bruce Dickinson manages to thank everyone involved, including The Man, conductor Paul Mann who together with Wix Wickens put the whole thing together. A splendid and formidable task well completed. Available now from your local Amazon. 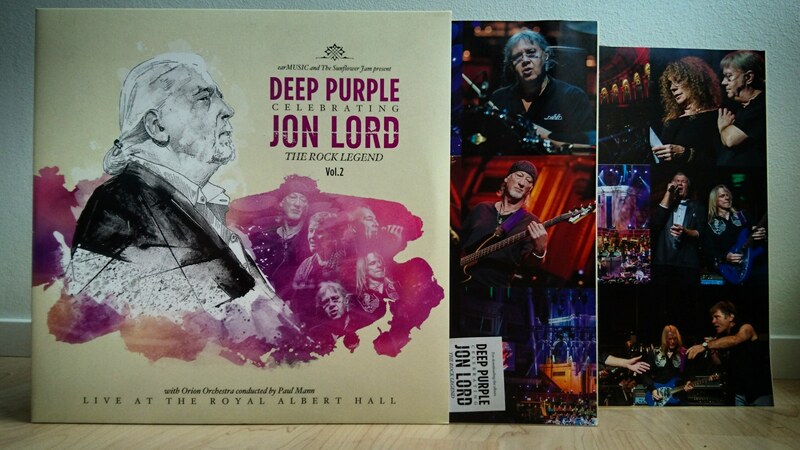 Read our in-depth interview with conductor Paul Mann about the process of putting together Celebrating Jon Lord. Part 1: – I gave myself goose-bumps just imagining it – planning the concert. Part 2: – To my friends pictured within – the concert’s first half. 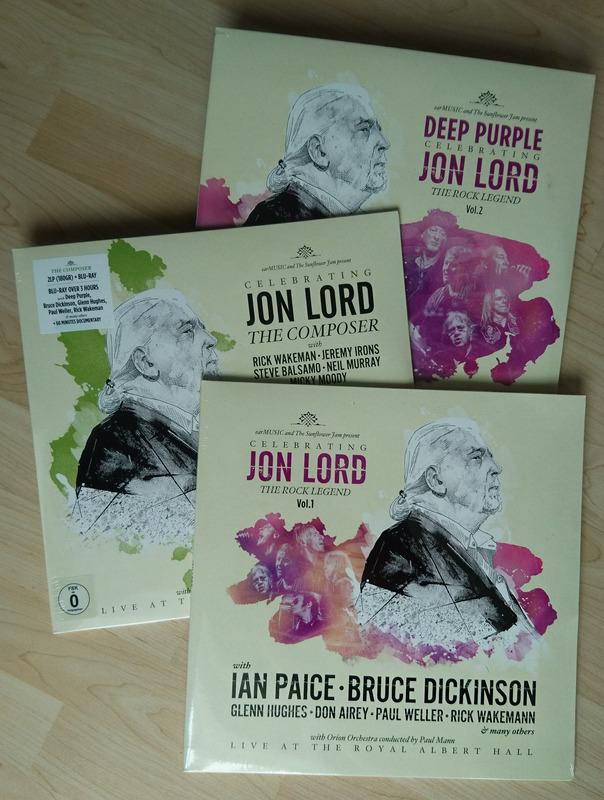 The full set: How we celebrated Jon Lord – full setlist and artist credits.